It's all lobsters, lighthouses, and water-resistant gear in Portland. All photos by Jeralyn Gerba. 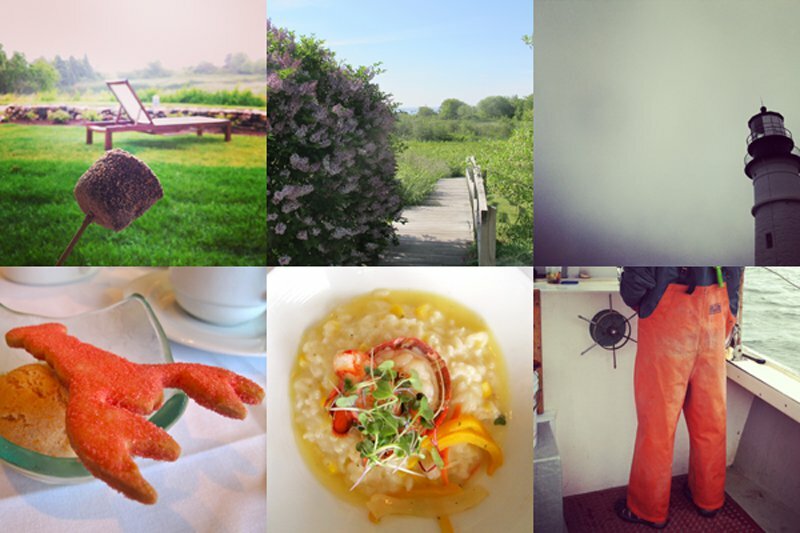 Fathom editorial director Jeralyn Gerba escapes to Portland, Maine, for a few helpings of hearty Americana, old and new. 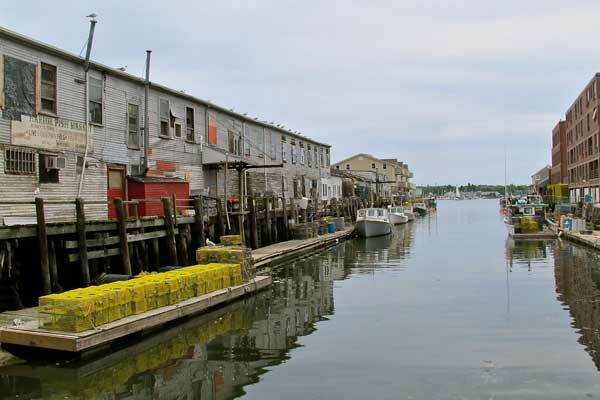 PORTLAND, Maine – It would come as no surprise to a Mainer that it was raining when I landed in Portland earlier this summer. The northernmost and easternmost portion of New England is known for its unrelenting weather, and, as a fine mist gave way to cold lashes of wind and water, it served as a not-so-gentle reminder that here, especially, one must bow to Mother Nature. The only thing to do is get into the Portland rhythm. I was not as prepared as the slickered-up, golf-umbrella-toting locals, so I took cover at The Lobster Shack at Two Lights State Park. 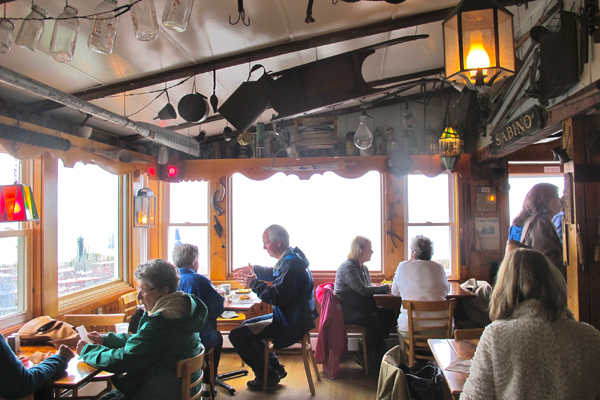 The cozy, wood-paneled room is kitsched-out to the maritime max: taxidermy fish, old farm tools, license plates, framed newspaper clippings — the works. 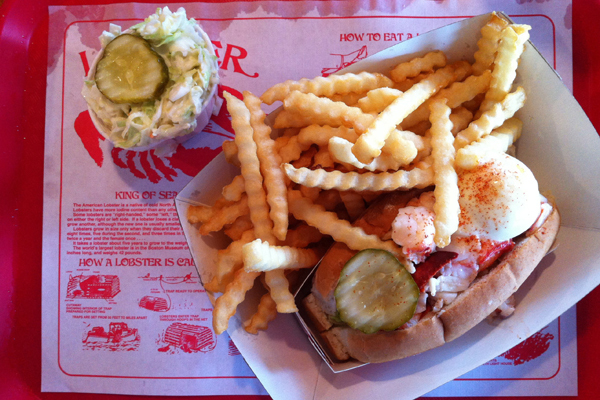 Lobster rolls are served in paper boats on plastic trays. I ate mine greedily, watching ocean waves crash below empty picnic tables on the rain-drenched bluff. 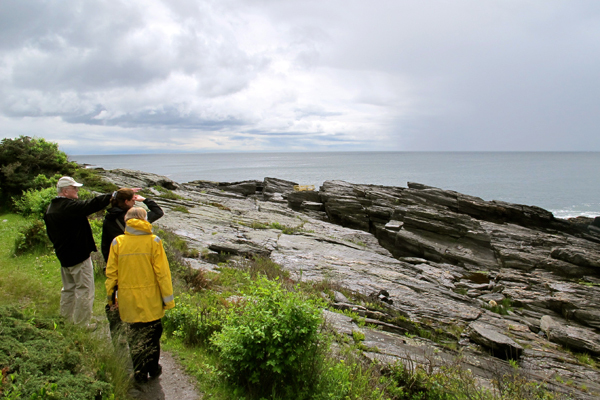 I will say that rain is the perfect setting in which to visit lighthouses (there are more than sixty dotting the coast of Maine). Portland Head Light Museum is housed within the lighthouse keeper’s quarters and gives a nice little overview of the history and mechanics of the iconic Maine beacons. 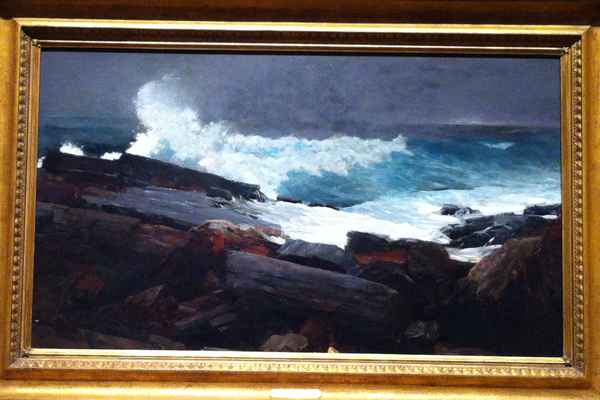 Portland Museum of Art, one of the oldest in the country, is another excellent place to spend a gloomy day. Beyond the respectable collection of European and African art, there’s a terrific overview of early American painting arranged chronologically. There’s also a nicely curated museum gift shop with an emphasis on locally made goods. But the very best vantage point for watching the rain is from the small cocktail bar at Inn by the Sea, a classy oceanfront resort that resembles Portland’s attitude in a nutshell: thoughtful, cozy, and community-minded. The hotel underwent a serious eco revamp a few years ago and now uses solar panels, rubber and cork flooring, green cleaning products, and biofuel for heating. There's a LEED-certified spa and nectar gardens to support butterflies. Service is sweet without being obsequious — one evening, a knock on my hotel room door manifested as a toasted marshmallow delivery. Clean, bright, modern loft cottages and beach suites are great for families, big groups, and pets. 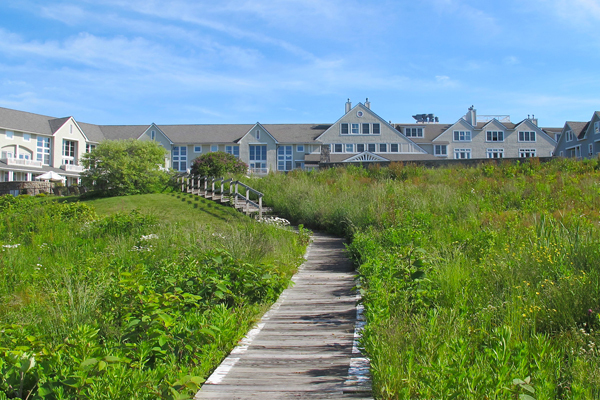 There’s a fantastically forward-thinking, seasonally driven restaurant called Sea Glass, a pool, Adirondack chairs around a fire pit, and a big lawn for running around. There’s also a wooden walking path through the resort’s “rabbitat,” a woodsy briar patch for cottontail rabbits (they’re endangered!) separating the inn from the ocean beach. One of the reasons I went up to Portland is because its locavore reputation precedes itself. Rauni Kew, the director of Green Programs at Inn by the Sea, is an advocate for the Gulf of Maine Research Institute, an impressively run sustainable seafood program that brings together fisherman, packagers, chefs, and restauranteurs who all have a stake in what’s on our plates and why. Working together, they’ve been able to introduce underserved species (pollack, mackerel, whiting) and reduce the catch of overfished species (cod, haddock). 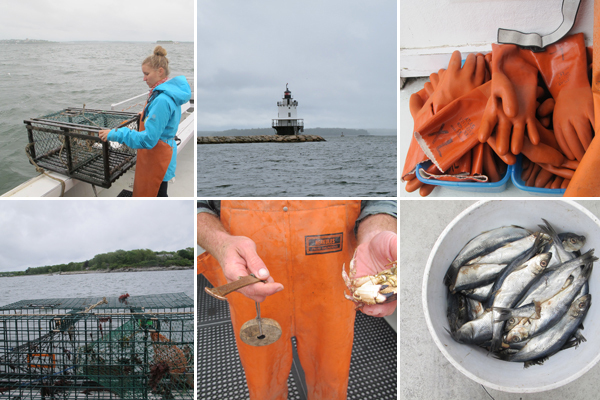 Because of the inn's conservationist streak, they arrange educational jaunts for guests on Portland’s lobstering boats. I pulled on a rubber apron and hopped aboard The Lucky Catch, where the two-man lobster crew proceeded to demonstrate pulling and baiting traps and identifying and measuring the catch. They also talked about preserving breeders, reducing environmental impact, and renewing the nutrient-rich gulf that gives Maine lobsters their superlative taste. 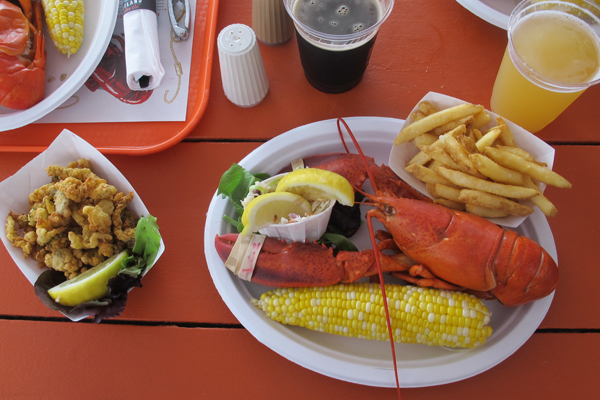 After docking, we took our responsibly caught crustaceans to Portland Lobster Co. and paired them with beer and fries. On a day when the sun began to peek out, I took a tour of Winslow Homer’s studio (accessible via the Portland Museum of Art), where the American landscape painter lived and worked from the late 1880s through 1910. It’s a typical summer cottage with views that feel incredibly familiar. Peering over his balcony or tracing his beach walk, you realize just how iconic these great American seascapes have become. Like that other Portland we hear so much about, this one has a vibrant restaurant and market scene. 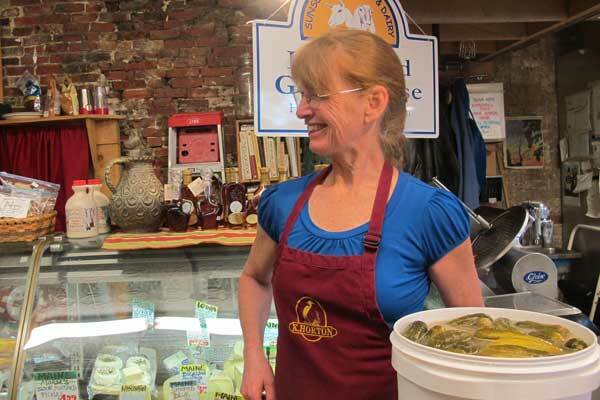 Through Maine Foodie Tours I got a chance to hear Kris Horton talk abou the local food purveyors she supports through her 25-year-old cooperative, Portland Public Market House. The gourmet grocery features prepared foods, crackers, condiments, and specialty items like coastal cheese from Hahn’s End (it absorbs salt from the sea) and goat whey caramel sauce (delicious on ice cream). On Wednesdays and Saturdays right outside their doors is a full-fledged farmers market on Monument Square. It's 215 years old and, like everything (and everyone) else around here, is still going strong. There are tons of restaurants, shops, and bars in Portland that share the do-it-yourself Maine ethos. It's a locavore's dream vacation experience, with not only sustainable seafood and small-batch beer, but also artisanal home goods, clothes, and accessories. 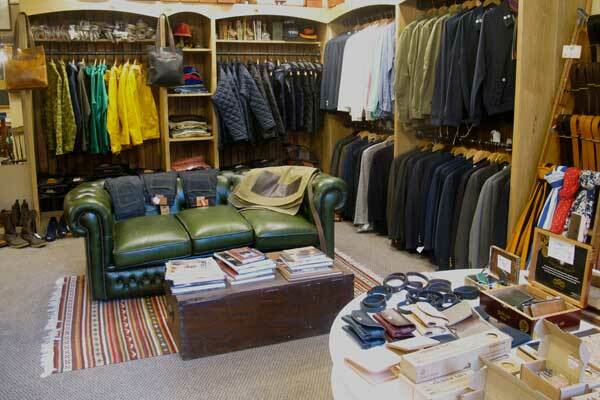 Caiola's and Fore Street are classics. Adorable pomme frite shop Duckfat uses Maine potatoes. Two Fat Cats Bakery sells scratch-made apple and whoopee pies. And you can get your hands on Silvery Moon Creamery local Camembert by driving five minutes to Smiling Hill Farm's dairy store. Portland Trading Co. owner Kazeem Lawal (probably the most stylish guy in town) curates an excellent selection of small-run magazines, sail bags, Quoddy moccasins, leather goods, and other Made in New England items that made me desperately want to dress the part. Blink and you’ll nearly miss the 45-minute JetBlue flight from NYC’s Kennedy Airport to Portland International Jetport. 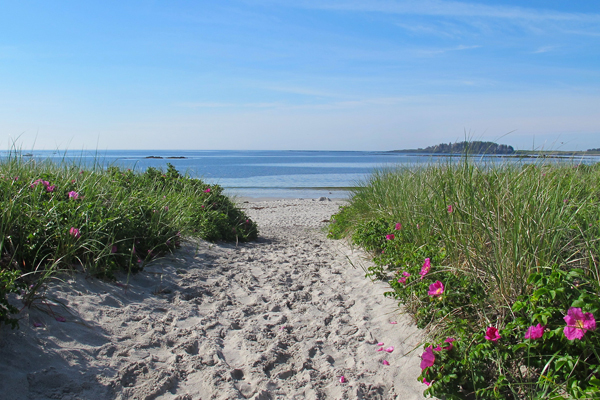 It's quick, painless, and — especially outside of peak summer break — very affordable. From Boston Logan Airport, you can catch a ride on a number of carriers. Once you get to Portland, a car is the best way to get around, though taxis are plentiful and drivers (mine, at least) tend to be entertaining. High season is all summer long, so expect high prices and high occupancy. But fall in Maine is beautiful, a little quieter, and way more affordable. A classic L.L. Bean cableknit sweater, glass of wine, and roaring fire sounds pretty good, doesn't it?